Yes, dear readers. A clear narrative voice! Set locations. And, LO! Shades of Grey!!! Oh I love it...so far. I want to curl up in front of a roaring fire and be thrilled speechless, ooooh this one's a thriller! What a treat - I'm already enjoying this immensely! MO, this is a new thing i recently discovered. I think it's called an "establishing shot". Slows down the pacing, but in theory it lets the reader see where we are. It's all very bizarre, but i'm going to go with it. 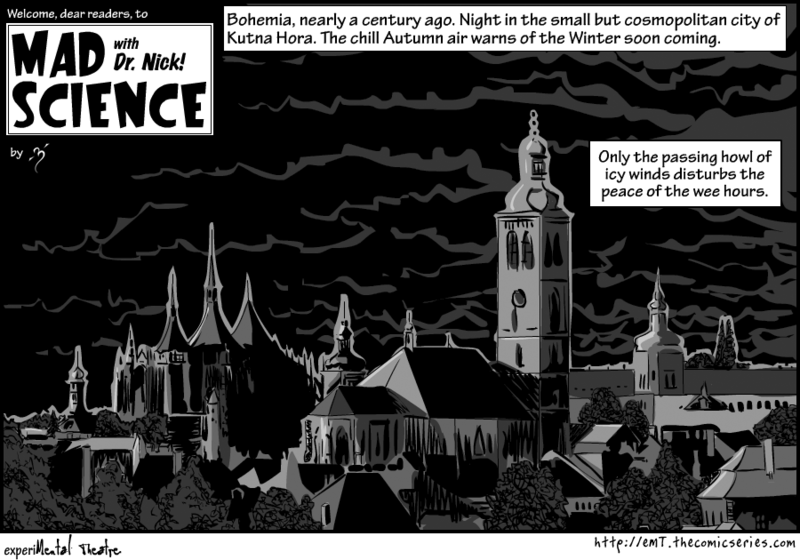 So far my favorite strip is #4, running thursday - another establishing shot, where we get to see Dr. Nick's place.